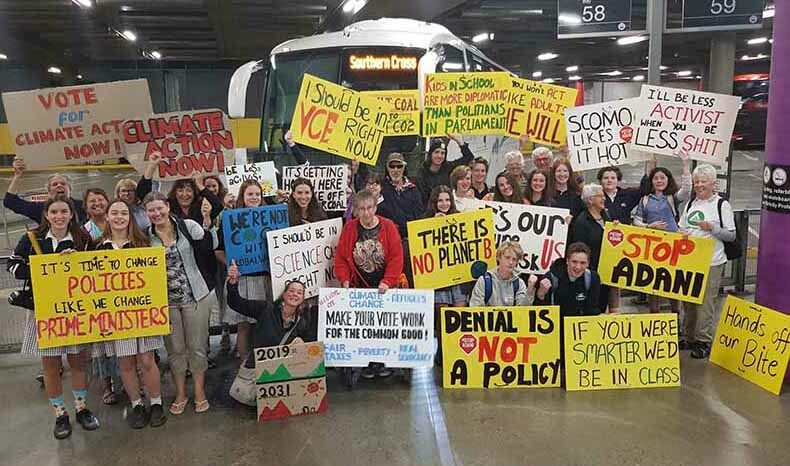 On March 15, strike action was taken by over 30,000 students in Melbourne calling for political action on climate change. They were joined by more than 150,000 people Australia-wide and over one million worldwide. The students took a day out from school to make their collective voice heard, saying not enough is being done to keep global temperature increases below 1.5 degrees Celsius, the point at which science tells us runaway climate change is the most likely outcome. The enthusiasm and energy in the chanting was infectious and my friends and I were soon in full voice, in solidarity with these young leaders as we marched to the top end of town. We were 500 strong marching up Collins Street, arriving at Treasury to loud applause by a crowd that covered the steps and spilled across the entire intersection of Collins and Spring Streets. Within 30 minutes we were at least 30,000 strong. Other estimates had us at 40,000. Full version in the Bass Coast Post here. Dr Moragh Mackay is a resident of Bass and can be contacted here.